My boys (aged 5 and 6) just got a Hexbug Aquabot each. I'm amazed how much they are playing with these toys. Aquabots are robot fish that swim around in water. 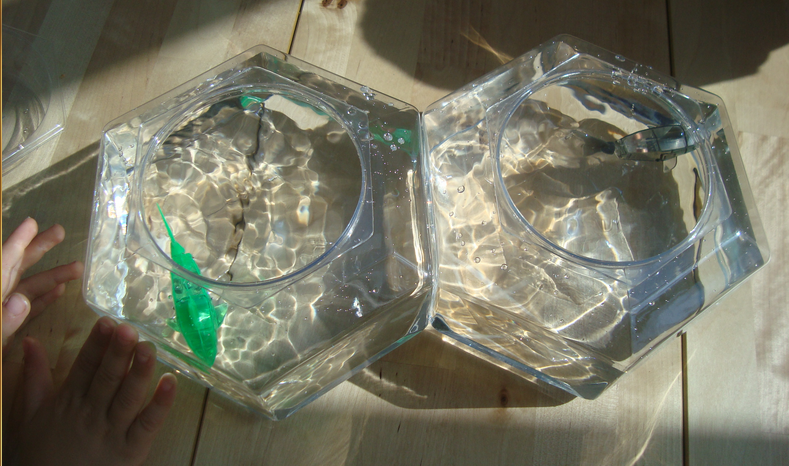 You can buy them individually or with a small hexagonal tank. 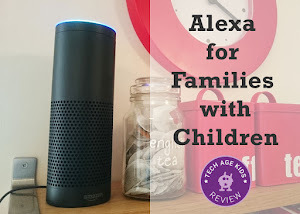 In this detailed review we'll take a good look an these electronic pets and I'll suggest some ideas for science projects to do using them. 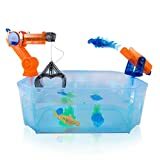 These were things that came up naturally as my boys played with the toys and with a bit of parental input they've got lots out their robot fish. You could easily take things further for older kids. The fish are about 9cm (3.5 inches) long from the nose to the end of the tail fin. 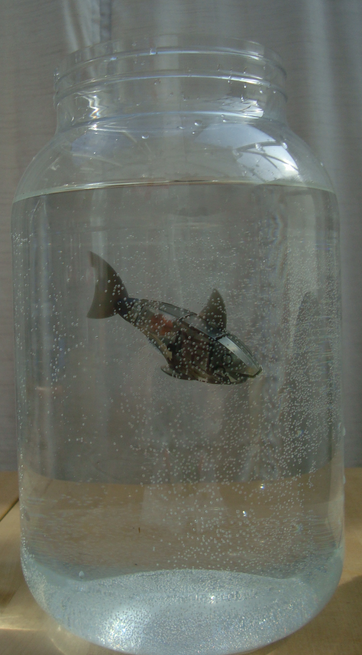 The fish activate when put in water and will keep swimming for several minutes and then stop to save the batteries. They also stop when you take them out so we've trained the kids to take them out when they are not using them. They use small coin batteries which can be replaced when they run out. They are AG13 / LR44 batteries which can be bought cheaply. You'll need a small cross-head (Philips) screwdriver to change the batteries. 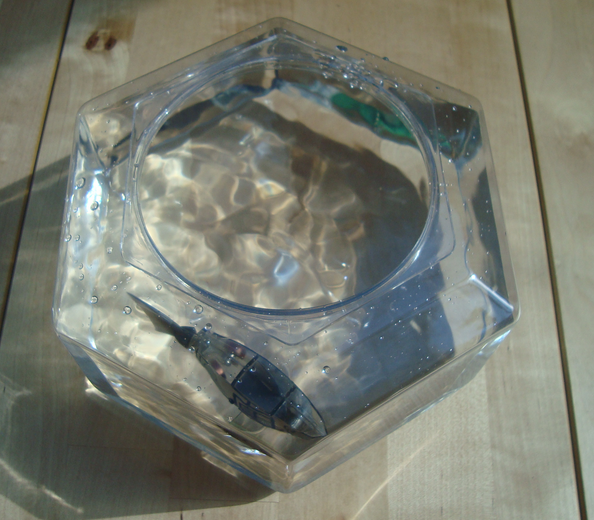 The boys each got an Aquabot with a small tank. The tank is fairly good quality plastic and comes in at the top so there's less chance of sloshing water around. There's a plastic insert in the packaging that fits on top so you can pop the fish in for storage. Tip: Make sure it's dry or the fish will keep flapping. The angles in the tanks encourage the fish to keep changing direction. So how do Aquabots work? Well my 6 year old quickly discovered the sensors for detecting whether the fish is in water. He spent a while slowly lowering the fish in and out of its tank vertically to see when it started to move and when it stopped. He also found that he could trigger motion by touching the sensors (small black dots on the sides of the fish) with wet hands. 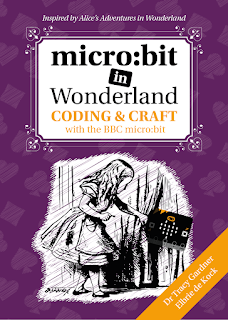 We had a discussion on how it could work and you could certainly go deeper on that topic. Then there's the movement. The kids expected that to be a motor - we've created similar motion for the tail of a wolf by attaching a rod to the shaft of a motor and having it flick the tail. The Aquabots actually use electromagnets. You can see the coils of copper wire inside. The magnets make the shaft of the tail alternately move from one side to the other creating a flapping motion. Then there's the timer that makes the fish turn off after five minutes in water. They won't start swimming again until you take them out and put them back in. Can You Put Two Aquabots in One Tank? So, could we put multiple Aquabots into a single tank together? Well the issue here is the magnets - they cause the fish to stick together. An interesting project would be to see if you can find a way to stop the fish sticking together without making them sink. I guess this is the price we pay for being able to clearly see the insides of the shark, which is very cool. We found that they do not stick together when they are in adjacent tanks. We're going to see if we can come up with a solution that allows them to share a tank. 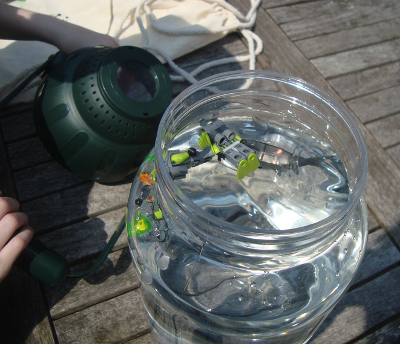 We tried out the Aquabots in a tall container we have for pond dipping. 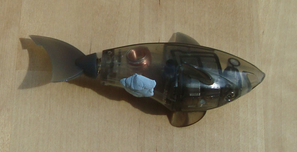 It has a magnifying glass built into the top which makes it fun for looking at robotic fish as well as real ones. One of our Aquabots would regularly dip down and make use of the whole height of the container. The other one just stayed at the top swimming round in circles. Hmm. We thought. How can we fix that? We wondered if it was something to do with the angle of the tail, but couldn't see how to change that. said!) We fixed that by adding a small amount of sticky tack to its belly. First he just sank to the bottom and swam in circles down there, but by finely adjusting the amount of sticky tack we were able to get sharky (yes it's got a name) to swim at interesting angles and explore the rest of his tank. This is a fun thing to try even if your Aquabot is perfectly balanced to start with. How Can You Make LEGO Sink? 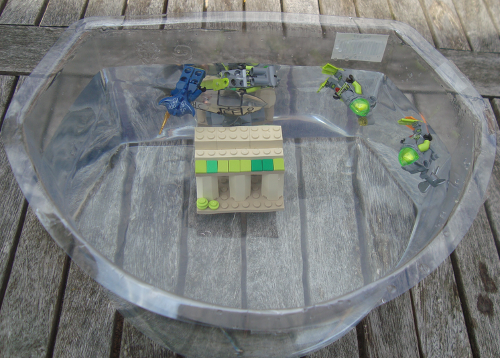 One of the things the boys discovered when playing with their Aquabots is that LEGO floats. This was brilliant for the LEGO minifigures divers that they have from Atantis and City sets. We thought about lots of ways to try and get our ruin to stay on the bottom. 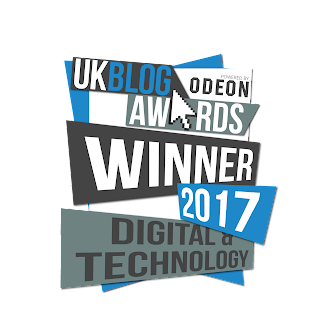 Could we stick in there? We tried sticky tack but it freed itself (maybe more would have worked.) We could have glued it but wanted to be able to reuse the LEGO. We considered using Sugru to fix a small LEGO plate to the bottom but wanted an instant fix. Could we weigh it down? We didn't manage to find anything small and heavy enough. We did consider partially covering the ruin in aquarium gravel, but the LEGO is quite bouyant. Could we wedge it in? 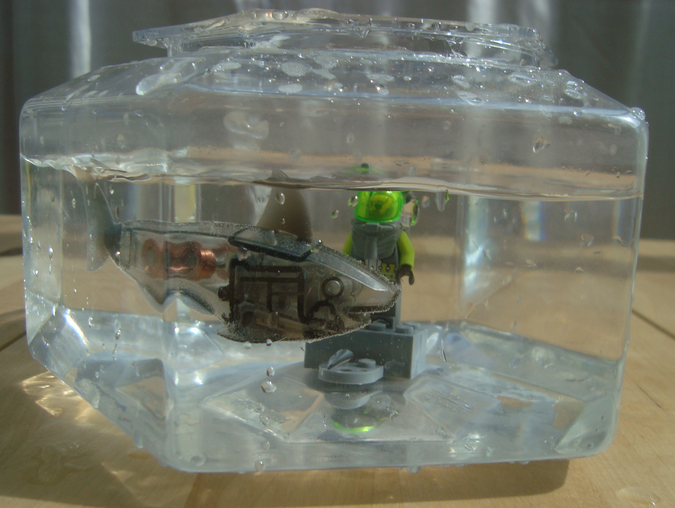 We tried this in the small tank and it did work, but the result wasn't very satisfactory and the LEGO took up too much space in there. In the end we went with magnets. 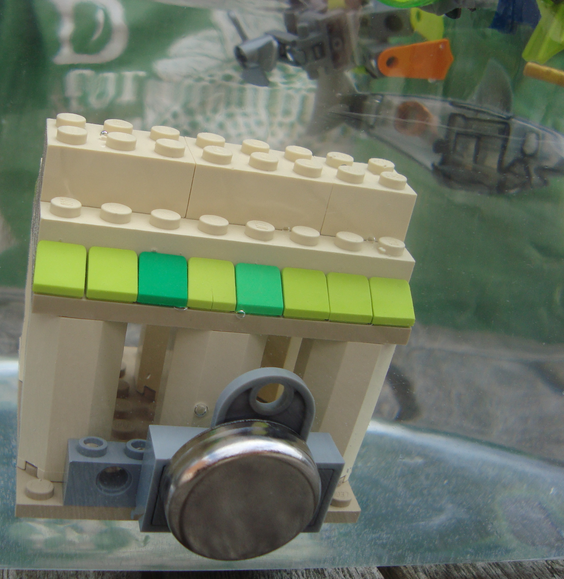 We have some LEGO magnets that you can use to attach minifigures to a notice board so we attached our ruin to one of those and then we used a noticeboard magnet on the outside of our 'tank'. This worked well through our thin tank and the magnets were well out of the way of our robot fish. It meant that the ruin ended up at an angle which my son really liked as it looked realistic. Now it just needs partially covering with gravel. 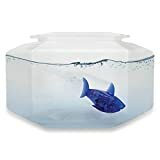 The LEGO magnets worked through the sides of the tanks that came with the Hexbugs, but the fish were likely to get stuck by anything stuck to the side of the tank as they didn't have enough space to maneuver. Fixing a diver to the bottom of the tank worked brilliantly though! The tank goes up in the center creating a spot to put our noticeboard magnet outside the tank. The shark happily swims round the LEGO Atlantis diver. The kids really enjoyed tapping the sides of the tank to create ripples and change the path of their fish. My kids are really enjoying their Aquabots. Particularly my nearly 7 year old. His Aquabot shark has fueled his Atlantis obsession and he's loving making habitats for his new electronic pet and observing its behavior. For a fairly inexpensive toy they have got a lot from this. It's an excellent toy for the summer - my kids have spent a lot of time playing with them in a shaded area of the yard. But if you put a towel down then these are a great indoors toy too. The kids have regularly been popping over to their fish when they are playing inside. Caveat. I can imagine some kids just putting the fish in water and watching it for a couple of minutes and then getting bored. We always find reviews of amazing museums saying that kids only spent twenty minutes there and didn't find it interesting - we'll visit the same museum and have a brilliant time. Those kids might find Aquabots boring too. 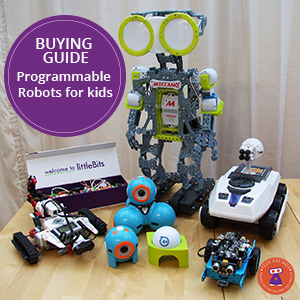 HexBug have continued bringing out more Aquabots toys since this article was originally written. The Harbour looks very cool and has lots of features for play and science.